With Halloween unfortunately falling on a ​Wednesday this year, many decked out in their best costumes on Friday and Saturday night for an evening of fun and partying. Of course, celebrities took part in the festivities also. Many of them happened to attend Kate Hudson's Halloween Bash to flaunt their scary, and in some case hilarious, costumes. 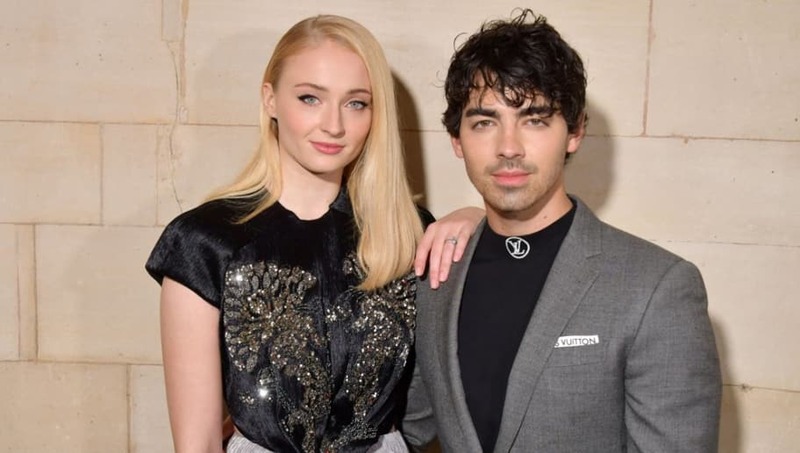 ​​Among attendees at the bash were ​Joe Jonas and Game of Thrones actress Sophie Turner. In the ultimate show of support and non-toxic masculinity, Joe dressed up as Turner's character, ​Sansa Stark. ​​Who gave Joe the right to look this pretty in drag?! The blue dress fit perfectly and the flowing red wig looked pretty decent too. Jonas appeared to be completely comfortable in the costume, as he posted a group photo alongside Turner, who was dressed as an elephant, and other stars. ​​Turner also seemed receptive of the costume, as she posted a selfie at the end of the night with the two snuggling on her Instagram story (Joe apparently had a fun night). ​​Jonas will not be featured in the ​final season of Game of Thrones, even though he ​revealed earlier this month he really wanted to. However, Turner will obviously appear on the show for more action and ​tragedy when it returns in 2019.